I’m still at the beginning stages of this room box project. The scale is standard one inch = twelve inches. 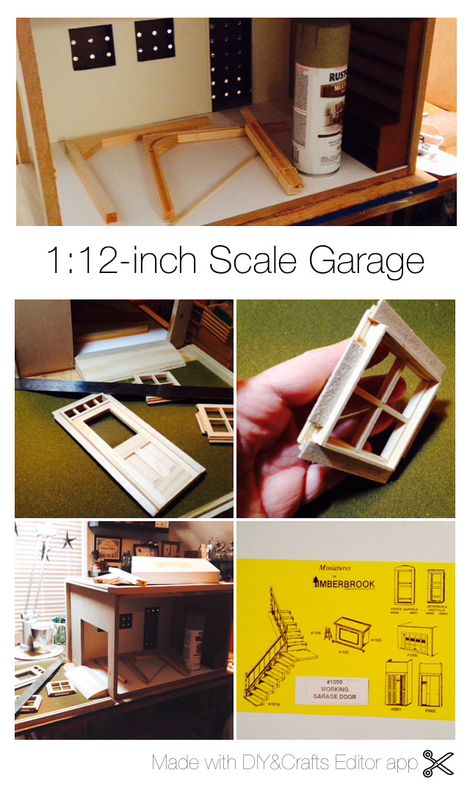 The right side will feature a workshop with a working miniature garage door opening up to a driveway with landscaping on the left. The left side will be enclosed with plexiglass. The exterior of the garage will have board-and-batten applied and mostly likely will be painted barn red. Ultimately, the interior will be furnished with a scale model car, lots of tools, and will even have a few (faux) oil stains on the floor. If all goes well, this will be an anniversary gift for Mr. Project. He’s a gear-head, so he should love it!! I’ll keep you updated as I make progress.